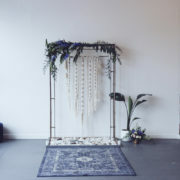 Tapestries are a great way to add some dimension to your event. 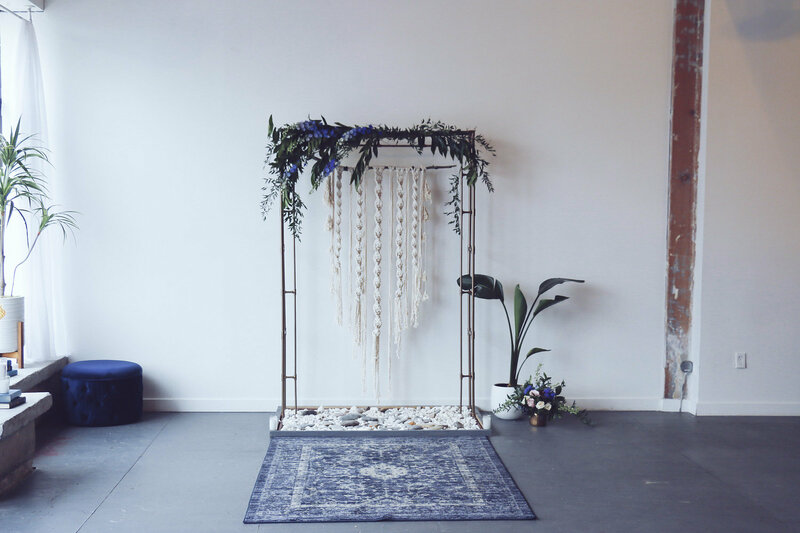 The possibilities of how you can use them are endless: at the alter, hanging behind the bride and groom in the greeting line, behind the cake table, or as the backdrop for your photo booth. 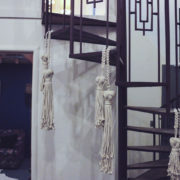 These hangings were made to be dressed up with details that will make it unique to your event! My personal favorite touch is adding fresh florals along the branch of the piece, but you do you. These are premade hangings available only for rent in Utah. I am able to make custom pieces available for purchase upon request. Please email me with any inquiries. Such a great and personable business owner! Your dream wedding/event/interior is always her top priority and she goes above and beyond to make sure you're happy. Great prices and unique pieces that will make you big day one to remember. 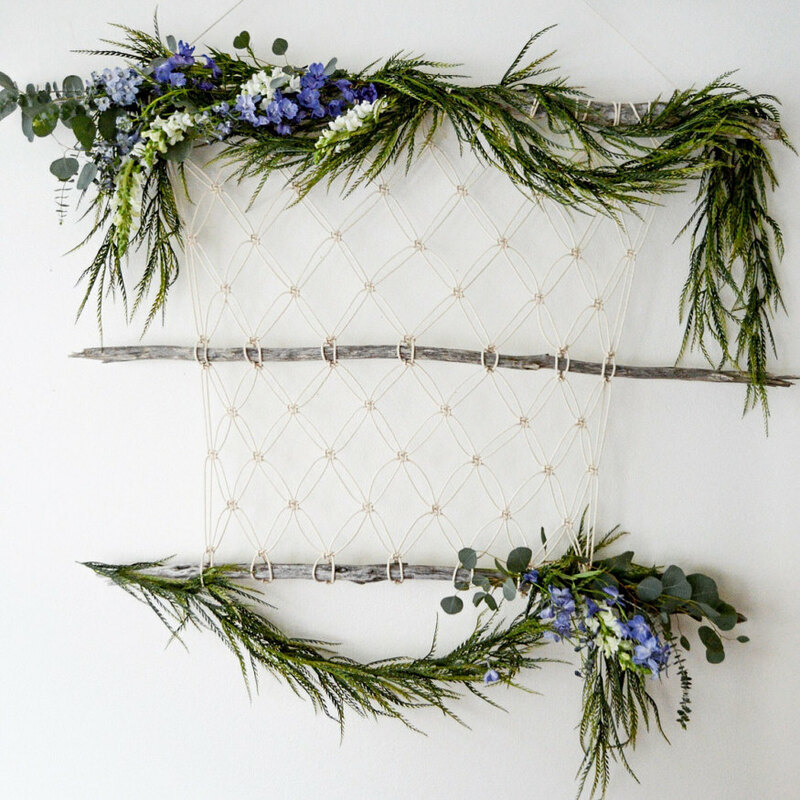 Shelby's work is so beautifully intricate and would be perfect for any event! 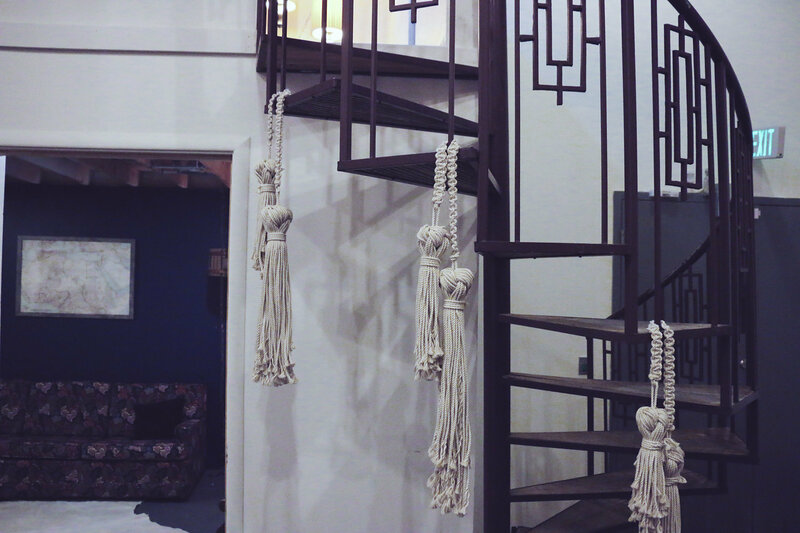 Her attention to detail and passion for the craft is evident is so many of her gorgeous hangings. When you see her work, you can tell Bonfire Heart is dedicated to her craft. Her works are meticulously designed and gorgeously executed. I love how she isn't afraid of custom orders - if yoh can dream it, she'll rise to the challenge and make it for you! Bonfire Heart's work is timeless yet unique & high quality handmade! I purchased a handmade dream catcher about a year ago and it is still my favorite decoration in my room. I will 100% be using this company for decor on my wedding. They make great gifts as well. Currently obsessed with the plant holders. Double thumbs up👍🏼👍🏼 from me. The artist does amazing work! She pays attention to detail. You can tell truly loves what she does! It is reflected in the beautiful and unique creations! Stunning designs! Every piece exudes a classy, boho vibe with a touch of retro. I've have yet to see anyone else incorporate greenery the way she does within her pieces. Could not recommend enough if you're looking to add the perfect accents to your big day. I'm in awe of every single piece. It's so beautiful and the quality is impeccable!! I will treasure my tapestry forever and can't wait to purchase again!! Love her work! It is so beautiful and well executed. 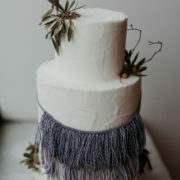 Her macrame work brings the perefect boho-Chic touch to a wedding or party! 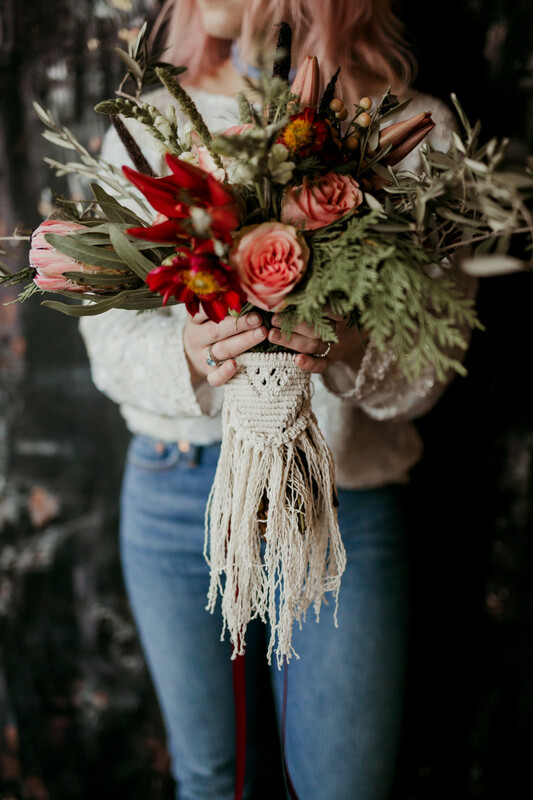 Bonfire Heart's macrame pieces are gorgeous, so beautifully perfect for that special day! 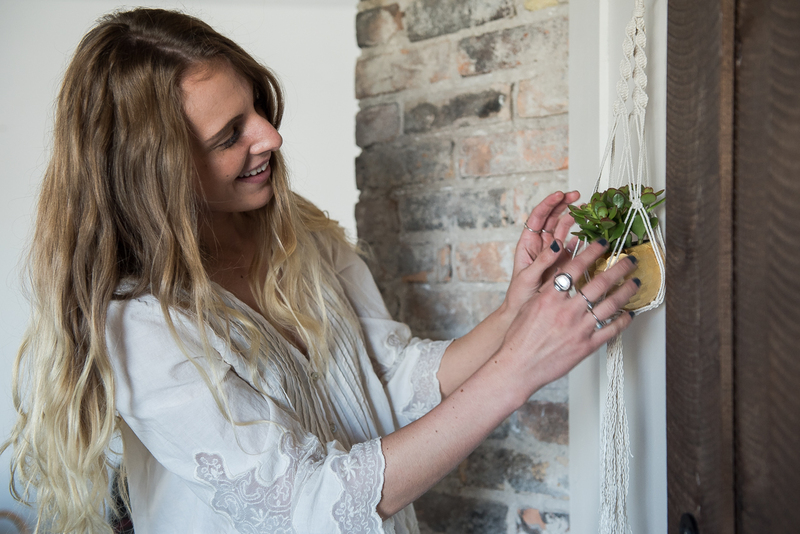 Her work is top notch and adds such a relaxed comfortable boho feel - not to mention she is super nice!! 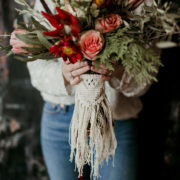 Impeccable, unique, handmade pieces! 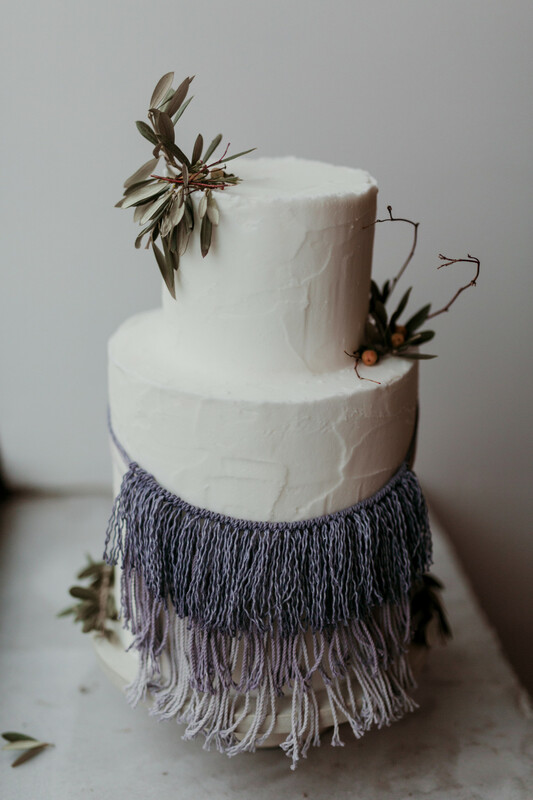 So drapey and boho romantic! I love the ombré dip dye wall hanging from her! These tapestries are truly one-of-a-kind. They are such a high quality, and clearly made with love! I have 2 custom pieces from Shelby and I love them! 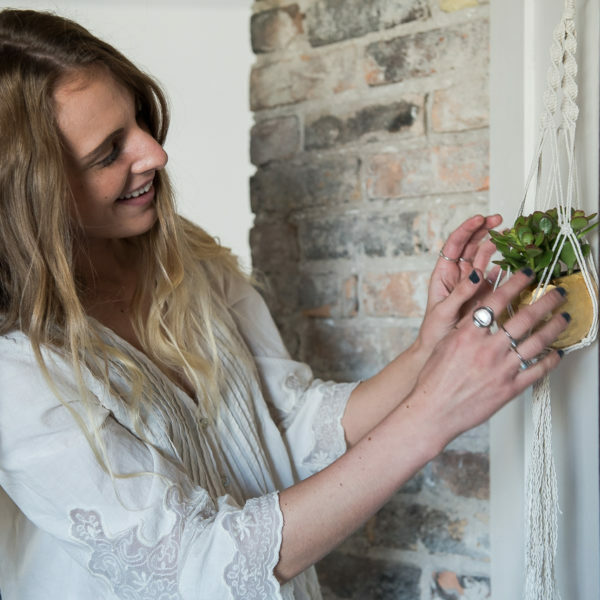 I have a small dream catcher, and a twisted plant hanger. I can't wait to see more of her dip-dyed work, so I can get a piece for my kitchen table! Her custom-made backdrop for my wedding was absolutely fabulous! A statement piece everyone was talking about!! !